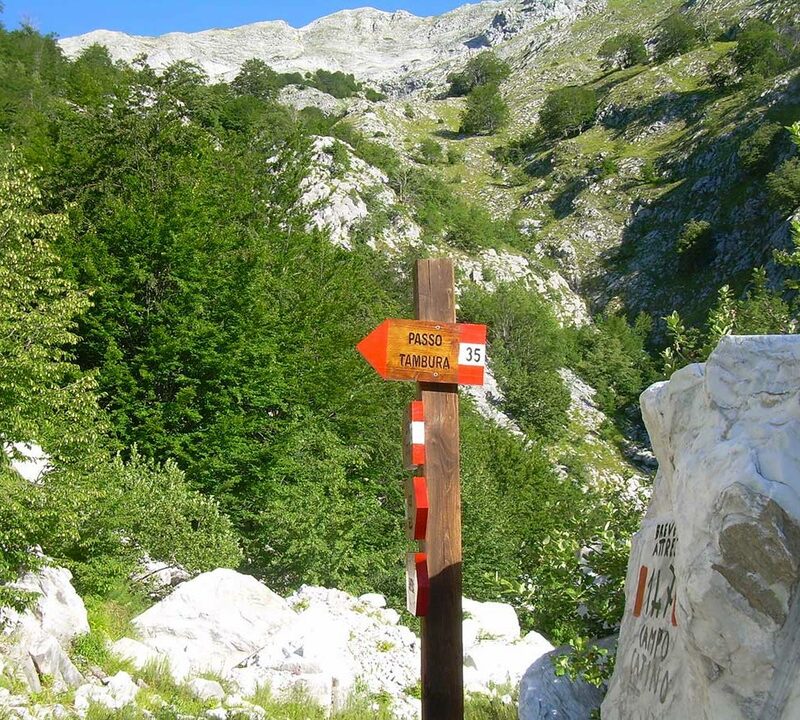 The Pearl of the Apuan Alps: this is what tourists and hikers call our district. The area consists of a natural park framed by chestnut and beech trees, that offers hiking opportunities to all: from easier paths to more challenging tours and rock climbing on our wonderful mountains. The area in fact offer a wide range of itineraries that differ in length and level of difficulty. Amongst the nearest tours we recommend the one that leads to the San Viviano hermitage, hovering over the Arnetola Valley. 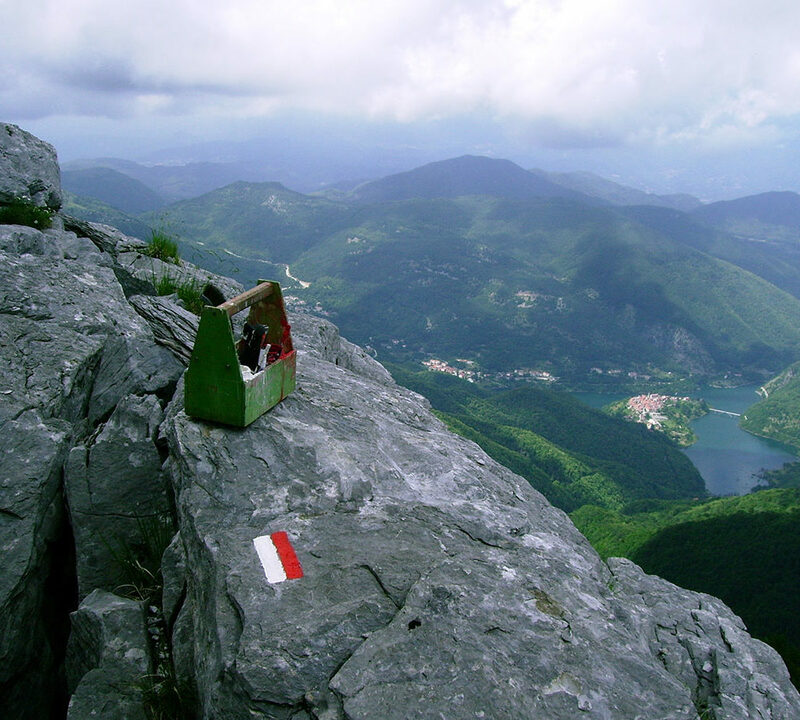 The path that leads to the hermitage provides several viewpoints from where you can admire the peaks of the Apuan Alps. Continuing along the path you can eventually get to one of the most popular destinations for hikers, a wide terracing with ancient petroglyphs. 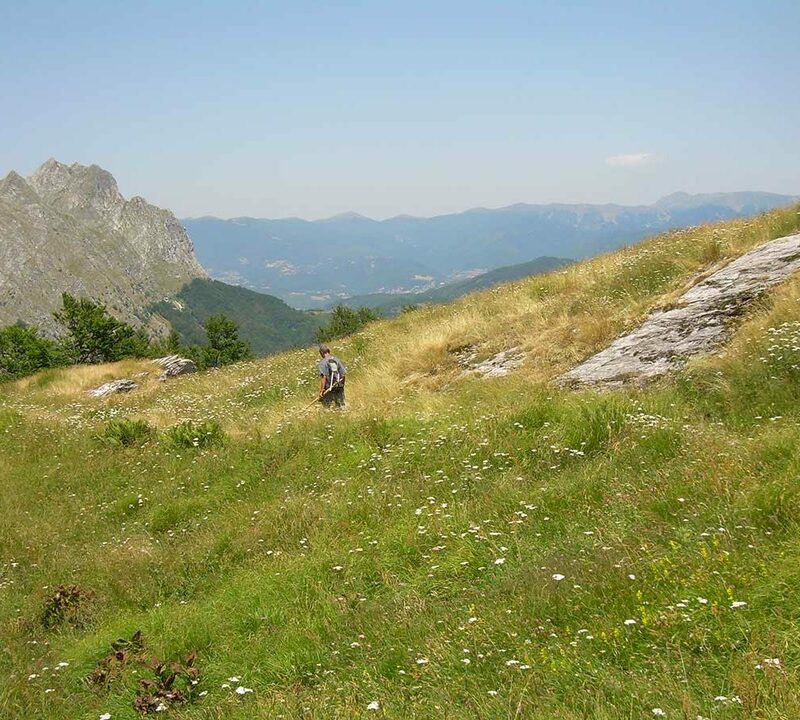 This place offers a breathtaking viewpoint over the Apuan Alps, and to the East you can catch a sight of the peaks of Mount Cimone and Mount Cusna, the giants of the Tuscan-Emilian Apennines. We also suggest you visit the Sant’Agostino Church, one of the oldest in Garfagnana. You can still the original entrance, a rounded arch structure that matches the one on the southern side. The cavernous limestone apses, perfectly squared, characterise this church. The interior lacks ornaments, with the exception of the capitals of the pillars in the naves, decorated with geometric, floral and animal patterns, typical of the High Middle Ages, and of a holy water font with a bust. Itinerary 147, from Campocatino to the Tambura pass (connection with itinerary 35) via the slopes of Mount Roccandagia (San Viviano Hernitage). Itinerary 177 from Vagli Sopra to Campocatino, Tombaccia pass (Carcaraia) and Focolaccia (Aronte hut). Itinerary 31 from Vagli Sopra to the Sella pass via Arnetola (quarries area), intersecting Via Vandelli (casone di Ripanaia) and Via Todt.